This paper reports some of the findings linked to a small scale phenomenographic study in which it was explored how LEGO® SERIOUS PLAY® (LSP) is experienced by coaches working in higher education as supervisors of doctoral students, are involved in doctoral researchers’ development or doctoral supervisors’ development. Data was gathered through five individual semi-structured interviews. Through the iterative phenomenographic analysis three categories of description emerged, ‘LSP as a relational experience’, ‘LSP as an affective experience’ and ‘LSP as a facilitative experience’ and their limited qualitatively different variations. The findings in relation to ‘LSP as an affective experience’ created tensions relating to participation, expression and the material itself as well as new freedoms that were invigorating such as opening-up, engaging in playful explorations and combining more than one method. Doctoral supervision is a complicated and complex task. The vast majority of doctoral studies are interest driven as the Postgraduate Research Experience Survey 2017 revealed (Slight, 2017) with most doctoral students work on their own on a selected project that has been approved by a higher education institution. In the United Kingdom, the supervisory team usually consists of two or three members. These are commonly academic staff from the same institution the student is registered. The supervisory team is led by the Director of Studies. The postgraduate research regulations in each institution clearly define the role and responsibilities of the supervisor during a doctoral degree. The supervisory team becomes the student’s formal support scaffold. While it is recognised that the supervisor plays a key role in the doctoral student experience, their journey and completion (Lee, 2008) and institutional research degree frameworks define the supervisor and doctoral student relationship and expectations, in practice there are often challenges and frictions that may lead to doctoral student disorientation and disempowerment. These challenges of supervision are recognised in the literature and specifically relating to the relationship between supervisor and doctoral student (Lee, 2008). The supervisor’s absence is often felt by the doctoral student and can lead to feelings of neglect (Mantai, 2017; Reeves, 2007) and students feeling isolated (Bastalish, 2017). The current literature around doctoral supervision shows that there are different supervision styles and approaches (Lee, 2008). Delamont et al. (2002) suggests that these are mainly influenced by the experience they had as a doctoral student. In the UK, higher education institutions provide a range of development opportunities for doctoral supervisors that include specific academic modules and workshop series aligned to specific research frameworks. Lee (2008: 270-271) defines five distinct supervision approaches in the activities that are undertaken by supervisors, their knowledge and the output that can be achieved through each by the doctoral student, and these approaches are as follow: first, functional, where the student is introduced to the research project; second, enculturation, where the student is encouraged to become a member of the disciplinary community; third, critical thinking, where the student is encouraged to question and analyse their work; fourth, emancipation, where the student is encouraged to question and develop themselves; and lastly, developing a quality relationship, where the student is inspired and cared for. Lee (2008) sees these approaches not in conflict with each other but as a continuum and acknowledges that the supervisor will utilise a range of approaches to be successful in doctoral supervision. Lee (2008: 268) developed a framework, an output of her phenomenological study, in which the concepts of research supervision have been articulated (see Table 1). This can be used by doctoral supervisors to raise awareness of their current practice and skill set, as well as their development needs. In 2018, Lee used appreciative inquiry with over 40 participants who were doctoral supervisors in a range of higher education institutions; a pilot development workshop was conducted with 14 participants from six different institutions. The findings from this pilot workshop suggest that developing doctoral supervisors in small groups was seen as beneficial also the cross-disciplinary nature of the workshop and the use of a range of approaches in this. Some of the participants established their own institutional provision and are keen to develop such provision using a team approach to doctoral supervisor development, while others were keen to set-up networks for ongoing support of the group who did come together in the pilot workshop. The study of Matai (2017) revealed that a doctoral student required much more support than the supervisory team often offers and notes the important role peer support networks can play to create a sense of belonging through shared experiences, increase self-belief and confidence in own abilities while also feeling supported. This support seems to be academic but also emotional. Bastalich (2017) suggests that peer networks can play a key role in the doctoral student experience. Reeves’ (2007) team-work model which suggests to bring together doctoral students that carry out research in related areas, is something that is perhaps still largely under-used in doctoral supervision. The study of Agné and Mörkenstam (2018) also point towards the benefits of supervision of doctoral students in small groups. They suggest ‘collective supervision’ (Agné and Mörkenstam, 2018: 669) as a supplementary support strategy alongside individual supervision. Their findings have shown that this type of supervision create opportunities for peer development and being part of a community but also shorten the overall completion time. Thornton (2010) illustrates such opportunities and particularly how group coaching, how, if done in small groups between 3 and 10, can be advantageous in building bridges and creating feelings of connectedness and collaboration. Therefore, creating a safe space in group settings is important where co-learning and development can take place is important. Thornton (2010) distinguishes between team coaching (where individuals work towards a common goal) and coaching learning groups (where individuals have their personal goals) under which she also places supervision groups (but does not refer explicitly to doctoral supervision), which have the potential to also nurture and strengthen supervisory relationships. The challenges of doctoral supervision are evident in the literature together with the tensions and dilemmas, but also the need to identify solutions that will help improve the doctoral student experience and the supervision. LSP is a playful method with wide ranging applications and uses that helps gaining deep insights into personal and collective understandings linked to a specific complex area of interest or concern and problem solve as well as imagine possible situations and futures (Gauntlett, 2007; The LEGO® GROUP, 2010). LEGO® SERIOUS PLAY®(LSP), which is for some years now widely used in Business (Kristiansen and Rasmussen (2014) has also started to be used in higher education by academic developers and other academic staff, as an alternative approach to discuss complex issues around learning, teaching and assessment (James 2015; Nerantzi and Despard, 2014; Nerantzi, Moravej and Johnson, 2015). Bloom (1984) defined the three domains of learning: the cognitive, psychomotor and affective. According to Russel and Feldman Barrett (2009:104), affect is a “neurophysiological state consciously accessible as a simple primitive non-reflective feeling most evident in mood and emotion but always available to consciousness” while Wetherall (2012) acknowledges and explores the social dimension of affective practice. In the context of doctoral supervision and doctoral student development, the literature suggests that there are often experienced tensions and challenges in this domain (Cotterall, 2013). To a great extent, Lee’s (2008) framework (see table 1) acknowledges the affective reality from the supervisor and doctoral student perspective. Research suggests that playful learning particularly, can help the emotional development not just of children but also adults (Project Zero, 2016). Studies relating to the use of LSP in higher education indicate that this method is immersive and engages participants using their head, hands and heart. Gauntlett (2007) recognises that LSP can be a vehicle to share experiences, knowledge but also emotions. The emotions often present in LEGO workshops include openness, excitement and calmness but also anxiety and initial panic (Nerantzi and Despard, 2014). It is this opening up and the shared experience enabled through LSP that may make this method attractive in the context of doctoral supervision and doctoral researchers’ and supervisors’ development as it helps participating individuals to gain insights into the their relationships with the doctoral process, the doctoral research and each other. The use of LSP in these settings is currently still limited. Workshops may be organised by accredited or self-taught LSP facilitators for doctoral students or doctoral supervisors at institutional level, usually by a centre who co-ordinates doctoral research. Furthermore, LSP practitioners who are supervisors may be using LSP with their doctoral students as a one off or regular developmental activity. Groups of 10-15 participants with one or two facilitators will make the process more personal and provide the depth of conversation needed. This study explored such experiences in the context of doctoral students’ development and identify if LSP had the potential to address some of the challenges often experienced in these settings. The overall research question was: How is LSP experienced in doctoral supervision, doctoral researchers’ development and doctoral supervisors’ development by the LSP facilitator? In this paper, LSP being an affective experience is discussed. Phenomenography was used in this study as it focuses on the study of the collective experience and its qualitatively different variations (Marton, 1981; Marton, 1992; Yates et al., 2012). It was developed for educational research in higher education settings to enhance practice (Marton, 1986) and has been used to study the student and staff experience in these settings (Åkerlind, 2003; Nerantzi, 2012). Åkerlind (2005: 323) states that “phenomenographic research aims to explore the range of meanings for each individual within the group.” As the focus of phenomenography is to identify variations of a particular lived experience, purposeful sampling is often used to gather data from study participants that meet specific criteria and therefore provide relevant and in depth and breadth insights of their lived experience relating to a particular study (Patton, 2002; Yates et al. 2012). Recruitment of possible study participants was carried out through personal contacts, mailing lists and social media. The criteria for selection of study participants were the following: a. work as a LSP Facilitator; b. had experience being involved in doctoral supervision and or related development activities; c. has experience using LSP in their capacity as a doctoral supervisor and/or developer of doctoral researchers. Some of the individuals who did express an interest to participate in this study had no experience in using LSP as doctoral supervisors or in the context of doctoral researchers’ development, therefore, did not meet the criteria and where not invited to participate in this study. Data in phenomenographic studies is usually collected through individual semi-structured explorative interviews in which open questions are asked to trigger reflection on a particular experience and gain deeper insights into this (Ashworth & Lucas, 1998; Marton, 1986). Ethical approval was granted for this study by Manchester Metropolitan University. Five individuals in total took place in this study during the academic year 2017/18. Semi-structured interviews were conducted remotely that became the transcripts that were analysed. These were shared with study participants to check for accuracy and the researcher discussed the phenomenographic analysis with two phenomenographers. Phenomenographic findings of this study provide insights into the experience of using LSP doctoral supervision, doctoral researchers’ doctoral supervisors’ development. This paper particularly, reports on the category of description relating to ‘LSP as an affective experience’. The ‘affective experience’ can be defined as feelings, attitudes and moods that were described as lived by the study participants and the role it played in the experience. This category emerged through a range of interview questions and fragments of responses that were brought together from across the data set. Participants experienced ‘LSP as an affective experience’ in the following two ways which is reflected through the following two qualitatively different variations. While both qualitatively different variations, constraining and liberating, were well supported in the data, the liberating variation may be the strongest one. Study participants experienced ‘’LSP as an affective experience’ as ‘constraining’. The findings suggest that this ‘constraining experience’ had characteristics of being contrived and challenging. Study participants felt that the experience of using LSP may be contrived as used in the study settings and described by them. Particularly, study participants commented on how some of the LEGO® brick objects may lead to specific metaphors, such as ladders and doors as they are often part of the LSP kits and therefore may direct session or workshop participants to express themselves through these instead of using their imagination more freely and build anything out of simple non-object bricks. The study participants are aware of the prescriptive nature when specific object bricks are used as found in the data. Such an example comes from the extract below from participant P5. The particular difficulty and challenge experienced initially is highlighted by study participant P3 which also illustrates how this often disappears as the individuals become progressively more familiar with the method. How the use of LSP in combination with other pedagogical approaches extended opportunities for study participants is also illustrated in the following extract by participant P4. In this particular extract LSP has been used not to underpin the pedagogical approach but to complement it and serve as a tool for a specific activity which the study participant felt that it would work better as a discussion trigger. This example shows that LSP was experienced as a single activity that extended opportunities for participation in a particular workshop in which a range of pedagogical approaches were used depending on the study participant’s judgement about the suitability of each approach. Study participants experienced ’LSP as an affective experience’ that was also rewarding within the ‘liberating’ variation. They describe how individuals immerse themselves into the LSP experience and find the model making activities welcoming and engaging. Study participant P4 particularly notes that the individuals are often from engineering which they indicate as helpful in the context of LSP as these students are familiar with building models more generally. The findings indicate that LSP as an affective experience brought tensions and freedoms in multiple ways. The LEGO® bricks that represent specific objects, for example ladders, windows, doors directed visual expression towards particular ready-made metaphors, while due to the newness of the method itself a reluctance to engage and opening-up was observed by some, at least when the method was introduced. Furthermore, sorting of the LEGO bricks associated with LSP kits after use meant that extra time was needed, which created additional challenges. Beyond these tensions, study participants also experienced LSP as an affective experience as a source of new freedoms and positive affect: Freedoms to play, freedoms to combine methods and enable doctoral students and doctoral supervisors to express imaginatively using LEGO® to make models, which was an invigorating experience for them. Through this study insights were gained into how LSP was experienced within doctoral supervision, doctoral researchers’ development and doctoral supervisors’ development relating to the study participants. These findings are discussed here in the context of LSP being an affective experience. There are also difficulties associated with the use of LSP as some of the findings indicate. These relate to the constraints experienced by the participants in this study who were LSP facilitators. While the literature acknowledges the benefits of using the method for creating a safe space of play, and its immersive nature, especially in group settings, the challenges associated with the LSP method itself seem to be studied less in current research. The work by Papert’s (1980) around ‘hard fun’ may explain why some participants resist or do not fully engage with the method. The method can, as the findings suggest through the category of description, feel intense, uncomfortable and troubling at times as it enables deep reflection and the surfacing of feelings and emotions as shown through the category of description ‘LSP as an affective experience’. Individuals may simply not understand the value of using this playful method in the context of doctoral research and find it ‘constraining’. However, the method itself may be seen as inappropriate for higher education and therefore resist it by students and/or supervisors. These observations are in line with James (2015) study that showed that especially in the context of doctoral level work, some individuals may find the use of LSP patronising; similar resistance to participation was reported in Nerantzi and Despard (2014) in an academic development application. In this study the experiences of facilitators of LSP were studied and therefore the picture and explanation of any possible resistance has been reported through their descriptions. What this study has not done is report on the related participants’ experience and their conceptions of it. LSP is reported in the literature (see Kristiansen & Rasmussen, 2014) as a method that is used in group settings. The findings of this study indicate that it is also experienced in one-to-one settings with similar benefits. Overwhelmingly, however, the findings indicated that the method was experienced within group but also sub-group settings. The sub-groups especially, provided additional flexibility for exploration and sharing based on the facilitator/s pedagogical rationale to work with the whole group or split the group as reported through the interviews. Related examples of sub-groups could not be found in the literature reviewed and therefore it is an area for further exploration and research in identifying the impact of using LSP with sub-grouping strategies. The qualitatively different variations ‘expressive’, ‘reflective’ and ‘dialogic’ are framed in the data as enablers through the method itself, its playful character, model making and the use of metaphors. There are in agreement with the literature and the theoretical underpinning of LSP. However, one detail that surfaced through the data that is represented within the ‘constraining’ variation, shows that some of the LEGO® bricks themselves often used in LSP kits, that represent specific objects, such as ladders, doors and windows, may direct participants to use specific metaphors relating this these. This contrasts Kristiansen and Rasmussen (2014) claim that the LSP kits due to the diverse bricks they include, are the enablers of more diverse expression in session and workshops, something that Blair and Rillo (2016) also agree. However, Blair and Rillo (2016) also acknowledged the opportunity brought to facilitators to make their own LSP kits. Their advice on avoiding character LEGO® mini figures, as they already have a meaning, could however, apply more widely to object bricks as reported in this study. Furthermore, the findings indicate that the sorting the LEGO® bricks can also be constraining for LSP facilitators. No study has been found in which these ‘constraining’ factors linked to this phenomenon have been studied further to gain more conclusive insights. This study provided new information linked to the lived experience of using LSP as an affect in the context of doctoral researchers’ development and doctoral supervision. The findings indicate that there are perceived liberating emotions for the facilitator and participant(s) when using LSP in these settings. The evidence suggests that the method creates freedoms to open-up, participate and express creatively through playful model making and shared reflection while the facilitator feels empowered to combine LSP with further methods to maximise engagement. It also highlighted the need to find effective pedagogical solutions to manage affective tension due to the novelty of the method and refusal at least initially to engage, reduce the use of pre-defined metaphors that may be present in LEGO object bricks and seem as this study showed, to limit an direct imaginative and creative thinking as well as find solutions to challenges associated with the use of LSP kits themselves. Currently, evidence suggests, based on the numbers of study participants that could be identified, that there is perhaps more limited use of LSP in doctoral supervision and doctoral researchers’ development. As such practices in this area spread more widely, further studies in this area, further research will be required to come to more conclusive observations. The method could therefore be considered as a tool in the doctoral supervision toolkit and be built into doctoral researchers’ development workshops, courses and resources offered to doctoral supervisors. Furthermore, playful approaches such as LSP could be integrated in development programmes for doctoral supervisors, as these could be considered as valuable tools for improving the supervisor-doctoral student relationship. There is an opportunity to conduct a similar study in the future to capture the experience of doctoral students. This will give insights into the conceptions linked to how they experience the method, which could then be synthesised with the findings of this study and provide a more holistic picture of the use of LSP in these settings. 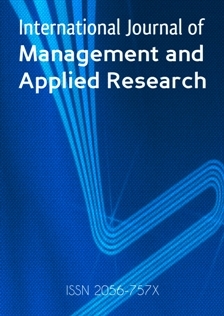 Furthermore, as LSP practice in doctoral supervision may spread in the coming years, a similar study could be conducted to compare and contrast the outcomes as well as construct an outcome space from a larger number of participants (ideally, around 20) that would show the logical relationships among the categories and descriptions and help researchers construct a pedagogical framework for using LSP in these settings. The author, would like to thank the two colleagues, Prof.Margy MacMillan and Prof. Paul Kleiman, with whom the findings were discussed and Dr Alex Avramenko as well as the reviewers for their advice on putting this paper together for this special issue. Blair, S. and Rillo, M. (2016), SERIOUS WORK: How to facilitate meetings & workshops using the LEGO® SERIOUS PLAY® Method, UK: Promeet. Bloom, B. S. (1984), Taxonomy of Educational Objectives Book 1: Cognitive Domain, 2nd edition, New York: Longman. Delamont. S., Atkinson. P. and Parry. O. (2000), The Doctoral Experience: Success and Failure in Graduate School, London: Falmer Press. Gauntlett, D. (2007), Creative Explorations: New approaches to identities and audiences, Oxon: Routledge. James, A. R. (2015), Innovative pedagogies series: Innovating in the Creative Arts with LEGO® , York: Higher Education Academy [Online] Available from: https://www.heacademy.ac.uk/system/files/alison_james_final.pdf [Accessed on 1 June 2018]. Kristiansen, P. and Rasmussen, R. (2014), Building a better business using the LEGO® Serious Play® Method, Hooken: Wiley. Marton, F. (1986), “Phenomenography – A research approach to investigating different understandings of reality”, Journal of thought, Vol. 21, No. 3, pp.28-49. Nerantzi, C. (2012), “A case of problem-based learning for cross-institutional collaboration”, The electronic Journal of e-Learning, Vol. 10. No. 3, pp. 306-314. Papert, S. (1980), Mindstorms: Children, Computers and Powerful Ideas, New York: Basic books. Patton, M.Q. (2002), Qualitative research and evaluation methods, 3rd ed., Thousand Oaks, CA: Sage Publications. Project Zero (2016), Towards a pedagogy of play, Harvard Graduate School of Education [Online] Available from: http://pz.harvard.edu/resources/towards-a-pedagogy-of-play [Accessed on 1 Dec 2018]. Russel, J. A. and Feldman Barrett, L. (2009), “Core affect”, In: Sander, D and Scherer, K. R. (Eds. ), The Oxford companion to emotion and the affective sciences, New York: Oxford University Press, p. 104. Reeves, J. (2007), “Getting beyond supervision”, In: Hinchcliffe, R., Bromley, T. and Hutchinson, S. (eds.) (2007), Skills training research degree programmes: Politics and practice, Maidenhead: Open University Press, pp.151-162. Slight, C. (2017), Postgraduate Research Experience Survey 2017 Experiences and personal outlook of postgraduate researchers, York: Higher Education Academy [Online] Available from: https://www.heacademy.ac.uk/system/files/hub/download/pres_2017_report_0.pdf [Accessed on 26 February 2018]. The LEGO Group (2010), Open-source: Introduction to LEGO® SERIOUS PLAY®, [Online] Available from: http://seriousplaypro.com/about/open-source/ [Accessed on 6 November 2018]. Thornton, C. (2010), Group and team coaching: The essential guide, London: Routledge. Yates, C., Partridge, H. and Bruce, C. (2012), “Exploring information experiences through phenomenography”, Library and Information Research, Vol. 36, No. 112, pp. 96-119.